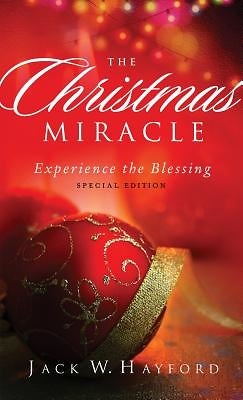 Two millennia ago the "Christmas miracle" began when a young girl received an amazing promise, one that was fulfilled beyond imagination as she was filled with the Spirit of God and received an amazing Gift. In this beautiful edition of The Christmas Miracle, Jack Hayford shows you how Mary's experience provides practical lessons in hope--truths to lift us beyond our ability, wisdom, fears or doubt. Discover the parallels to Mary's life that are applicable to God's unique "best" for your life. The Christmas Miracle points us to be open to God's gifting and strength--leading to outcomes as unimaginable to us as her Christmas miracle became to Mary.